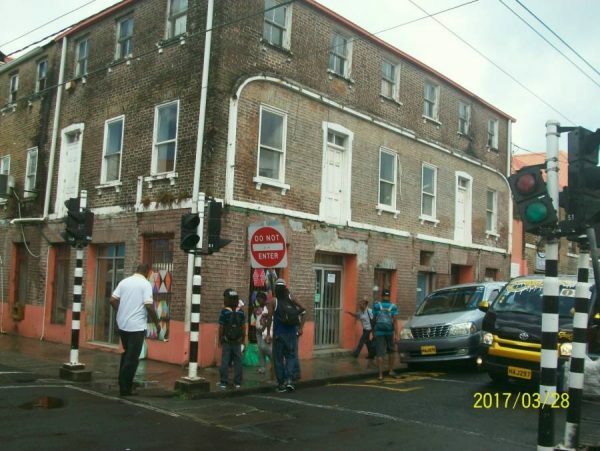 In days of yore, when Grenada had Local Government, which was administered by District Boards in every town, St George’s as the capital, had the distinction of having a MAYOR as its chief executive officer. That was before Grenada had its political independence in 1974, when we were still a colony of the United Kingdom. During those early days, visitors to our capital city could not help but express their delight at this pretty and unique urban formation in the southern Caribbean. The Georgian Society of England observed in its journal of 1930 and again in 1950 the charm of this Georgian town in the West Indies; and later, up to 1988 it was described by CARIMOS – the Cultural Arm of the Organisation of American States (OAS) “as a monument of the wider Caribbean”, when assessing the status of the capital cities in the Caribbean, 500 years after the arrival of Columbus. In 1988 — 14 years after independence as stated above, our capital city had still retained its charm with its Georgian architectural character of yellow/ brown brick walls and clay tiled roofs; but as the independence political directorate began tinkering with the administrative structures left by the British, the neglect and decay of the city began to manifest itself. To replace the District Board, in St George’s — whose sole function (like other boards), was to look after the interest, welfare and maintenance of the town, there now appeared a solo political representative for the town, elected every 5 years in national elections, thus ensuring the extinction of continuity and institutional memory of former members of the board who provided dedicated service to the citizens at large. The demise of the St George’s District Board occurred, not because of its obsolescence, but on account of its independent modus operandi from the central government — (in efficiently managing the affairs of the town); and being unable to control the board, a strained relationship developed with the sitting administration of the Gairy Government, when in 1969 or thereabout, legislation was passed in parliament dissolving Local Government in Grenada. Grenada, henceforth became the exception among the English speaking Caribbean states, without local government — which is generally regarded as an inclusive and essential component of peoples’ participation in politics at the grass roots level. At the granting of Statehood in 1957, Grenada began governing itself except in Foreign Affairs and Defence. This gave the local politicians a free hand in running the affairs of the State, and political patronage and “squandermania” became the order of the day. From the records, there appears to be a grace period beginning from statehood in 1957 to 1988, when the physical status quo of urban St George remained in a caring condition, but, as party politics became more intense, the rivalry for political power resulted in neglect, and the beginning of a gradual but inexorable deterioration in the systems and regulatory bodies left by the British which then ensured the proper physical up-keep of the ‘gem’ of the Caribbean. Our national anthem admonishes us “to protect our heritage”, but this admonition is only sung by school children on special occasions, it is not internalised by the citizens and the powers that be, and therefore does not manifest itself in the actual protection and conservation of our built heritage. The above scenario gives the background, and attempts to explain the continuing uglification of our capital city. How else could one explain the large number of abandoned and derelict buildings in St George’s, (see Sentinel article of October 2016), which pose both a health and public safety hazard; the disfigurement of the Market Square now converted from a citizens open public space — which is the norm in most capital cities and major urban centers — into a cacophony of ugly concrete boxes with red top roofs, the new venue of drug pushers and the hunting ground for common thieves; the decay of York House — left untouched since Hurricane Ivan in 2004; the refusal to repair the Public Library with all the books, documents and archival material housed within — which has been closed going on 5 years, and the yellow on the Courts building on Young Street, in the heart of the “Historic Village.” Are we serious about obtaining a UNESCO nomination? And that is not all. How about Fort George, our premier tourism site — when would the police be relocated? Government House, the official residence of the Governor General, also left abandoned after Hurricane Ivan in 2004, and recently the removal of the ornate wrought iron balcony on Huggins Farm & Garden outlet at the corner of Granby and Halifax Streets, in the core of downtown St George’s, and the aberration on historic Church Street opposite the Anglican church, which must have been granted permission by a comatose Physical Planning Unit to complete the construction of an inappropriately designed building for that location — after remaining an eye-sore since Hurricane Ivan in 2004. Is the Planning Authority conversant with “aesthetic control” as a condition of building approval for new buildings and historic conservation of existence heritage buildings? In conclusion we would like to ask: what is the function of the parliamentary representative? In the presence of broken concrete drains and sidewalks, lack of traffic control and congestion on the narrow streets —which pose a constant danger to pedestrians trying to maneuver among moving vehicles — and garbage left along the roadside from business houses and unlawful street vendors, spilling into the drains resulting in flooding… and the list goes on. Where is the balcony of Geo F Huggins & Co Farm & Garden outlet on Granby and Halifax Streets? I mostly enjoy my winter stay in Grenada every year – except clearly on the occasions when I have no choice but to go into St. Georges. It is always a most unpleasant and truly depressing experience! Quite apart from my own discomfort, I always get to wondering what must the impact be on the thousands of cruise ship passengers every year who cannot escape the experience, plus the many other visitors who make the mistake to visit the area by choice? St. Georges in particular is extremely noisy, overcrowded (mostly with limers) and there are vehicles parked in every possible location. The lack of sanitation and any signs of adequate maintenance of buildings, facilities and the like (e.g. sidewalks, etc) is strikingly non-existent. I am surprised that, among all this disorder, anyone could miss the disappearance of a balcony! Reversal of the present deplorable conditions can only begin after the Government of the day publicly acknowledges that the present situation is intolerable and improvements must be made. Unfortunately, such action will likely make the ruling party vulnerable to losing votes so, don’t hold your breath.